The most anticipated night is finally done . The sash and trophy makes its way to India for the very first time as Mr India Prathamesh Maulingkar bags the title of Mr Supranational 2018. The dapper contestant definitely has a well deserved victory at the Supranational. After introducing the contestants, the dapper contestants were introduced on stage with some action- packed performances, as they walked in with hot models and danced to some fun tunes. The performance was definitely eye catching and choreographed at its best. To add up to this, the men dressed up in black tees and denim for a fabulous dance face-off. The men showcased their perfectly toned body, dressed up in neon orange trunks. Followed by that, the host announced the top 20. The contestants who made it to the top 20 are: Mr Netherlands, Mr Slovakia, Mr Czech Republic, Mr Norway, Mr India, Mr Mexico, Mr Thailand, Mr Philippines, Mr Malia, Mr Brazil, Mr Sri Lanka, Mr Argentina, Mr Spain, Mr Curacao, Mr Dom Rep, Mr Panama, Mr USA, Mr Puerto Rico, Mr Poland and Mr Myanmar. Proceeding the show, the men were dressed in dapper formal suites, tuning their body to some great jazz music. And followed by this, the host announced the top ten contestants. The contestants who made it to top ten are : Mr. India, Mr. Thailand, Mr. Netherlands, Mr. Sri Lanka, Mr. Slovakia, Mr. Dominican Republic, Mr. United States, Mr. Poland, Mr. Norway, and Mr. Brazil. And finally the moment came when the Indians were cheering up with loud applause. 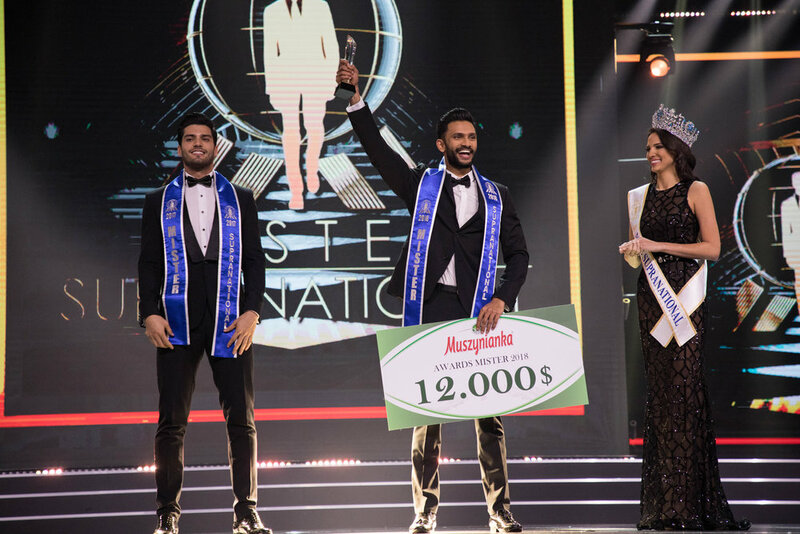 Mister Supranational 2017 Gabriel Correa handed over the winner's trophy and sash to Prathamesh from Goa, India.